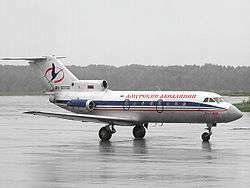 Artel Staratelei "Amur" Airlines is a charter passenger airline based in Khabarovsk, Russia; it is owned by Artel-Amur. June 27, 2010 - Northern Khabarovsk Krai - Mil Mi-8T crash-landed due to the failure of the tail rotor. The onboard mechanic received minor injuries, other crew members and passengers were not injured.